It has been seven days since the Primary and I have been able to catch my breath and take a look back over the last five months. Without the help from all of you amazing volunteers, we would not have received the support of 3,371 voters on April 24th. With voter turnout around 26% for Democrats in the 104th, that vote total is pretty darn good. I welcome the opportunity to continue knocking on doors and talking with residents of the 104th district to see what issues are on their minds. Here is a link to the election results on the State’s website. Congratulations to all of the candidates that won and to all of the others, thank you for putting yourselves in front of the voters and giving us a choice. Our democratic process needs people that are willing to run for office and to serve if elected. On Saturday May 5th, I will be meeting voters at the Cherry Blossom Festival in Millersburg from 9am until 3pm. Please stop by if you are in the area. We will also have voter registration forms for anyone that is currently not registered. Please accept my thanks to everyone that volunteered with or contributed to my campaign in some way. It is your support that has brought us this far. I am humbled to know that this campaign has such a diverse group of supporters. The campaign has more than 200 donors from across all party lines. I am continuing to build a broad based coalition concerned about job creation, public education, government reform, conservation, equal rights, women’s rights, mental health, veterans affairs, the middle class, etc. Our campaign team deserves a special thank you: Alexander Reber, Melissa Frey, Mike Moser, Diane Bowman (Campaign Chair), and Harriet Boyer (Campaign Treasurer). Thanks so much for all of your help! Moving forward we will need your help to take the momentum of nearly 6,400 democratic and republican voters who said they wanted change on April 24th and really make it count on November 6th. I look forward to walking with you through your community to hear from your neighbors about what is important to them. Thanks again for all of your hard work in the Primary. Stay tuned for how you can help from now until the general election. 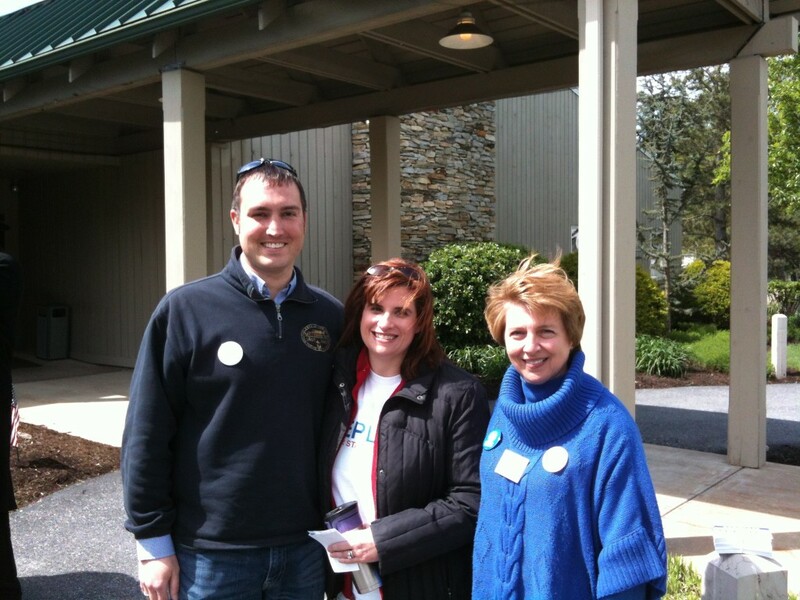 Chris Dietz, Randi Teplitz, & Lori Serratelli outside the Susquehanna Township poll in ward #8. 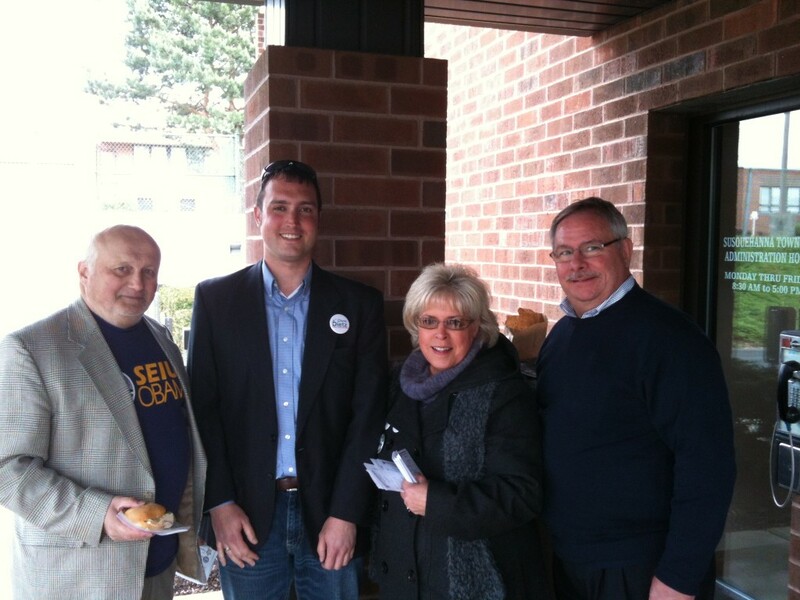 Jake Long, Chris Dietz, Diane Bowman, and Mike Schubert outside the polling location for Susquehanna Township ward #2. To find out more about the campaign and how to volunteer or contribute email the campaign at info@VoteDietz.com. Millersburg, PA – Democratic Dauphin County resident, mechanical engineer, and Millersburg Borough Council President, Chris Dietz officially announces his candidacy for the 104th district of the Pennsylvania House of Representatives. Dietz is a community builder, proponent of eco-tourism, and government reformer, who will strive to assist the working families of the 104th district. The new map of the 104th House district includes the boroughs of Dauphin, Halifax, Millersburg and Penbrook and the townships of East Hanover (in Dauphin and Lebanon Counties), Halifax, Jefferson, Middle Paxton, North Annville, Reed, Rush, Susquehanna, Upper Paxton, Wayne, and wards 4 and 7 in Swatara. Diane Bowman, President of the Susquehanna Township Commissioners and former Chair of the Dauphin County Democratic Committee will Chair Mr. Dietz’s campaign. 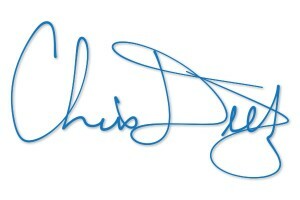 To find out more about Chris Dietz’s campaign and how to volunteer for his campaign visit www.VoteDietz.com or email the campaign at info@VoteDietz.com.